Alfred Walsh retires from the Canterbury College School of Art. Richard Wallwork is appointed to staff as Life Instructor (1911–27, Director 1928–46). Wallwork trained as a printmaker under Frank Short in London and played a significant role in encouraging printmaking at the School. To provide instruction in drawing, design, modelling and painting, especially in their applications to trades and industries. 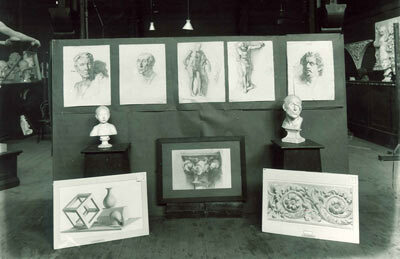 To provide a course of study for those who desire to become painters of landscape or the figure, or to become sculptors. To train persons who wish to become Teachers of Art. To instruct those who desire to make a knowledge of art part of their general education. Students decorate a small room at the Canterbury Society of Arts as a boardroom suitable for a Chamber of Commerce. Different classes design and make the mural, the decorations, the stained glass windows, the carpet and the metal fittings. Courses in etching begin under Richard Wallwork. World War I (1914–1918) causes a decline in the School's roll, and women students predominate. Rose Zellar edits the school magazine, The Ventilator, which was launched the previous year and is published every term. The school's first floor is substantially remodelled, resulting in the antique studio being enlarged. The Painters' Union of Canterbury and Master Painters Association transfer painters' classes from the Christchurch Technical College to the School of Art. The architectural drawing and design room is converted into the painters' and decorators' studio. Robert Herdman-Smith resigns. Frederick Gurnsey is appointed acting Director (1917–20). The Studio vol. 73, Royal Academy. End of year exhibition, Canterbury College School of Arts, 1912. Exhibits are on display under the Directorship of R. Herdman-Smith, A.M., F.S.A.M. 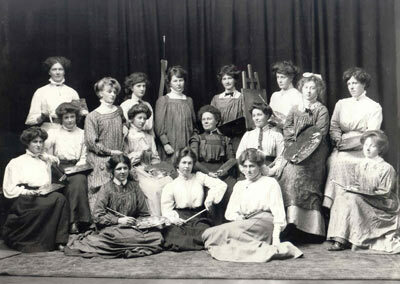 Canterbury College School of Art, 1910, Grace Butler middle back row. Rose Zellar, Alice Polson, Daisy Osborn, and Margery Mains are also present. Students: Kathleen Gregory and M. Harris. 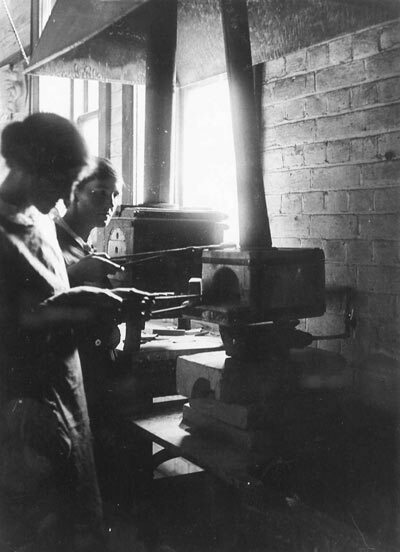 'Metalcraft' was an integral part of the school's craft and sculpture department in its early years, and thrived under the instruction of Charles Kidson, Robert Herdman-Smith and Frederick Gurnsey.